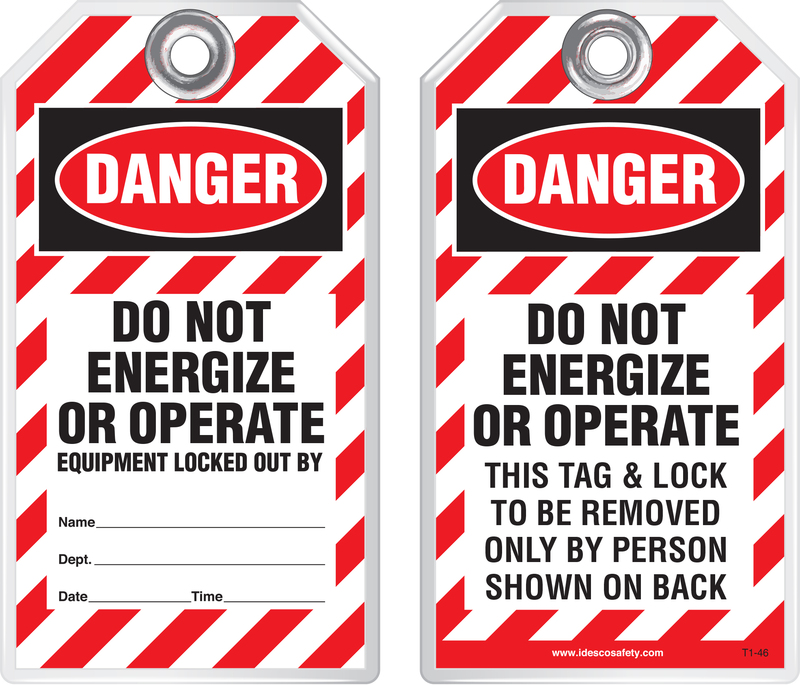 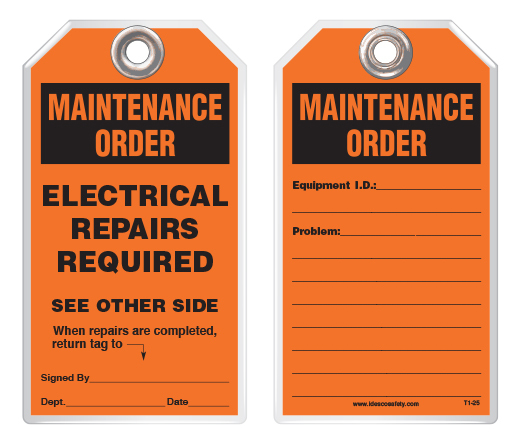 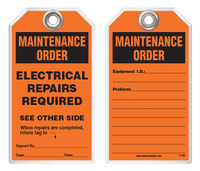 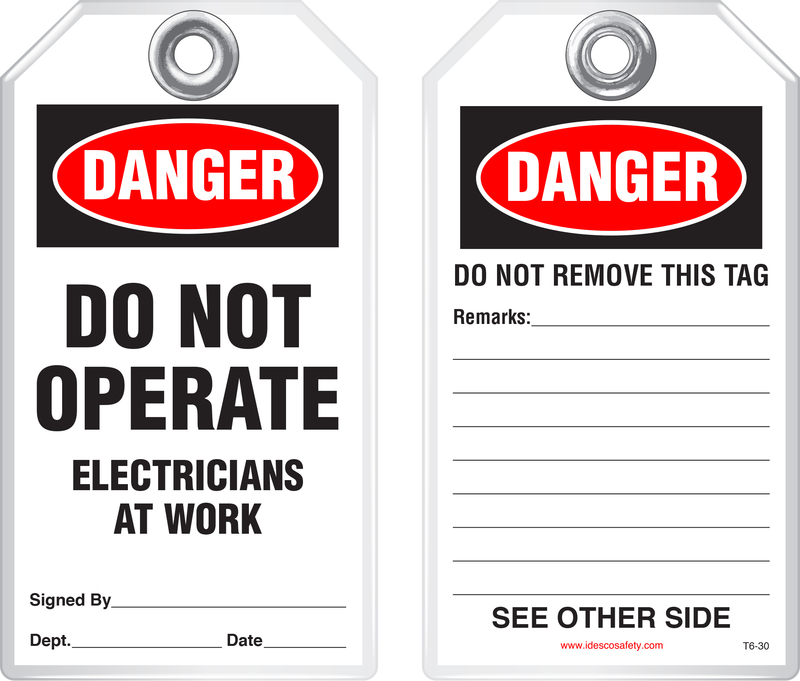 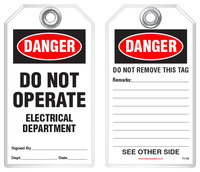 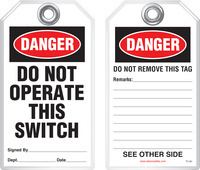 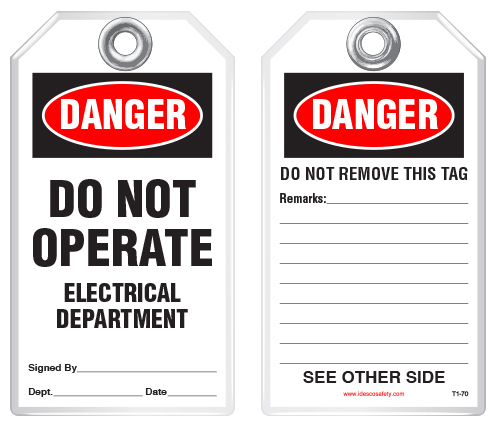 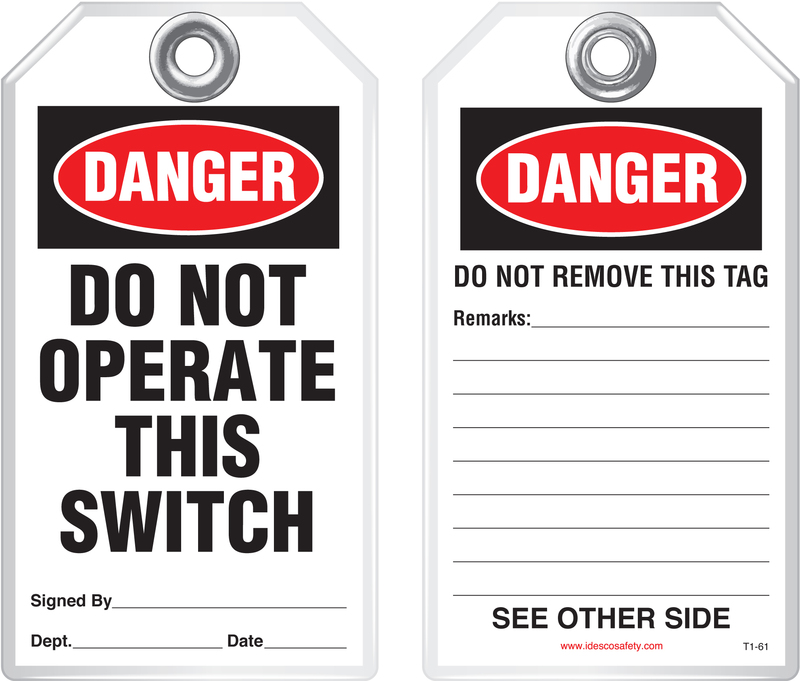 Idesco's Electrical Safety Tags notify employees when electrical equipment is in operation, out of service, or requires special attention. 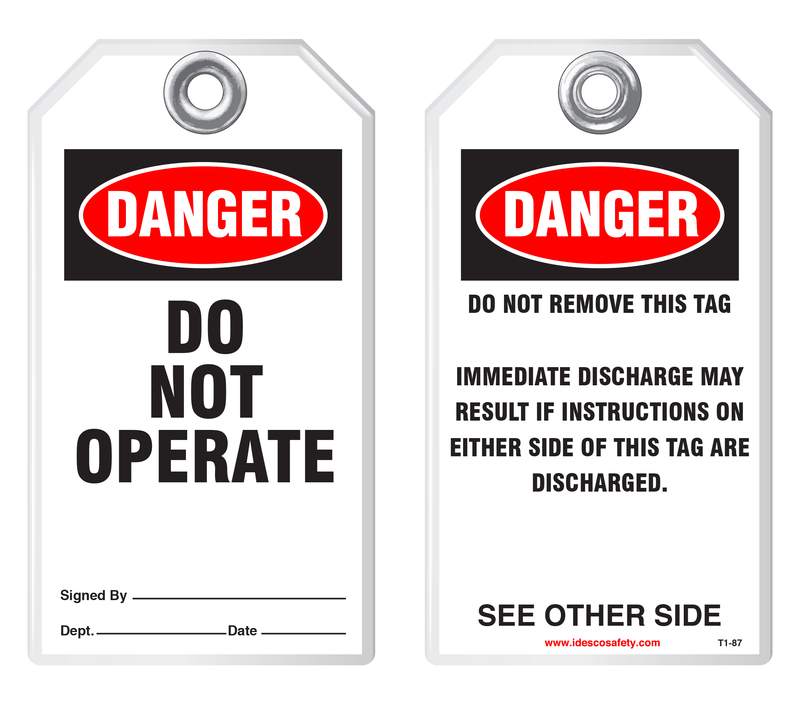 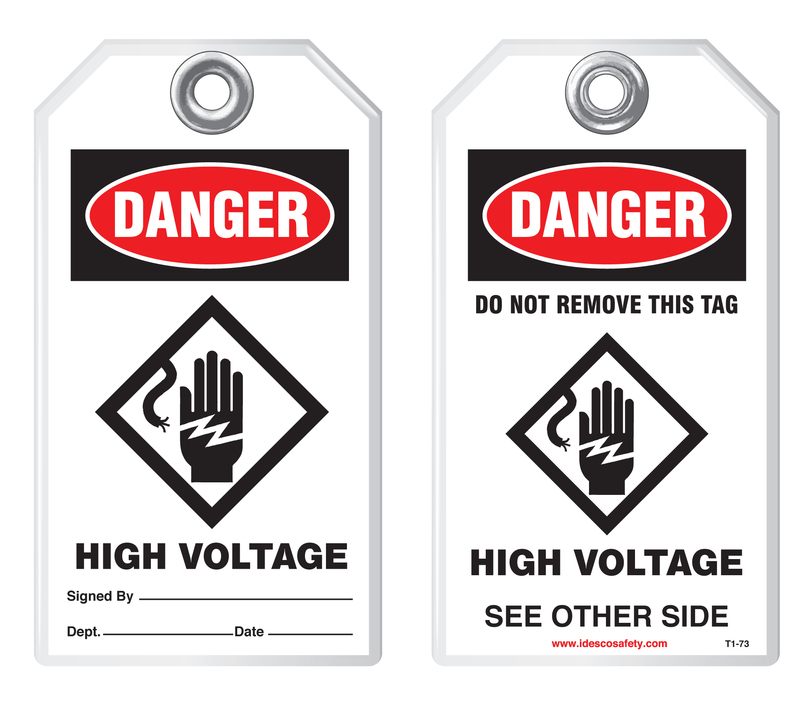 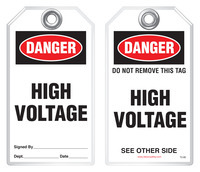 These OSHA-compliant tags are durable and strong and withstand moisture, dirt, grease, chemicals and extreme temperatures. 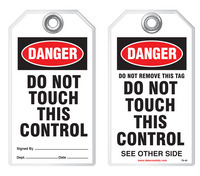 They are reinforced with a 3/8" metal grommet. 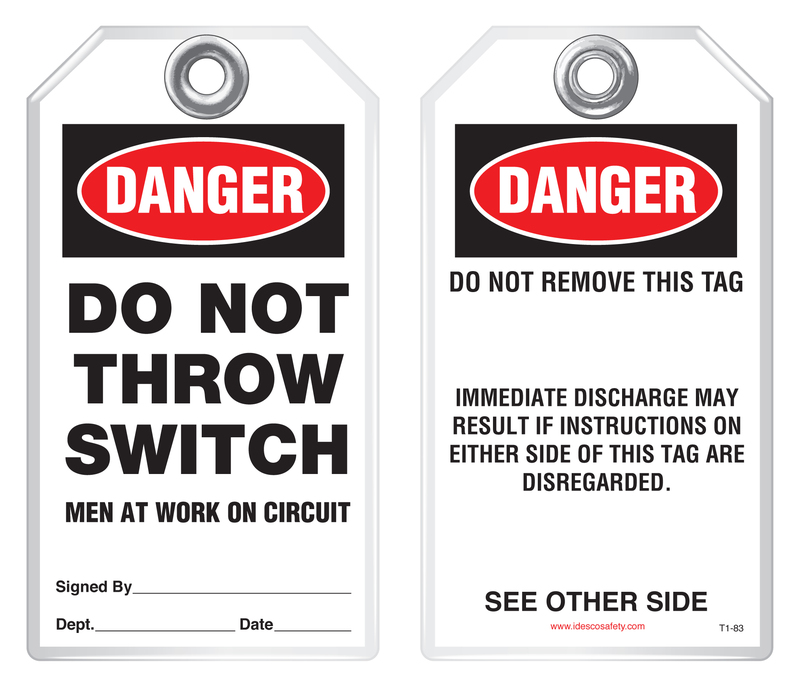 Each tag has a pull strength that exceeds the OSHA-required 50 lbs. 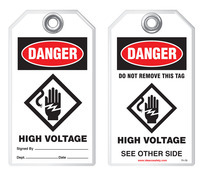 Printing is encapsulated inside rigid PVC. 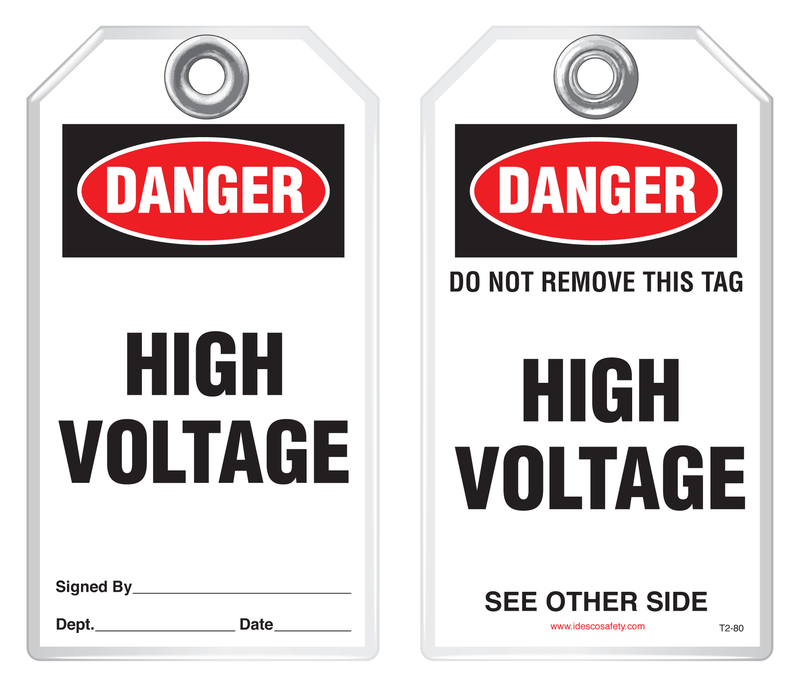 This rugged material has a durable, hard-matte finish which retains pen, pencil and marker notations and pencil may be erased for multiple use. 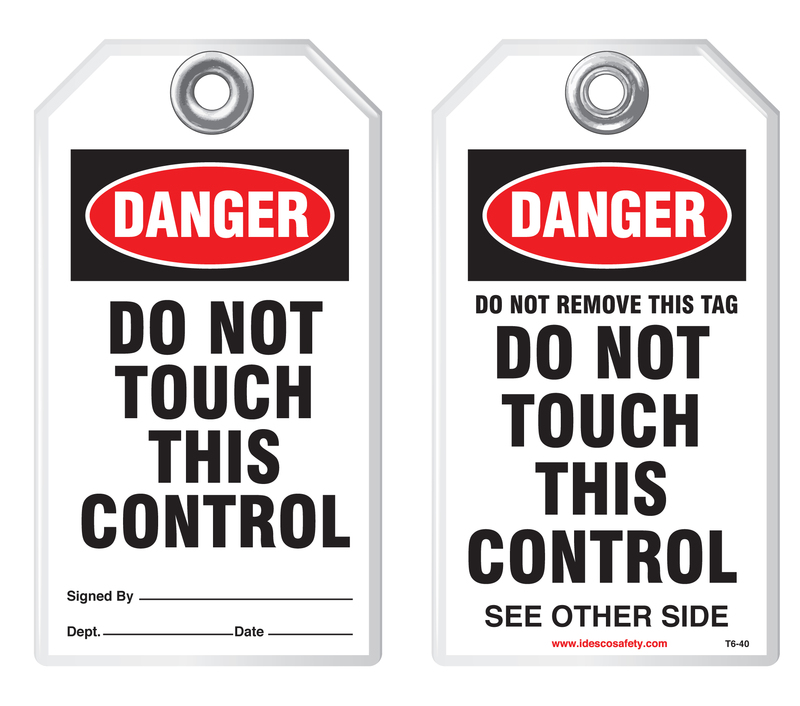 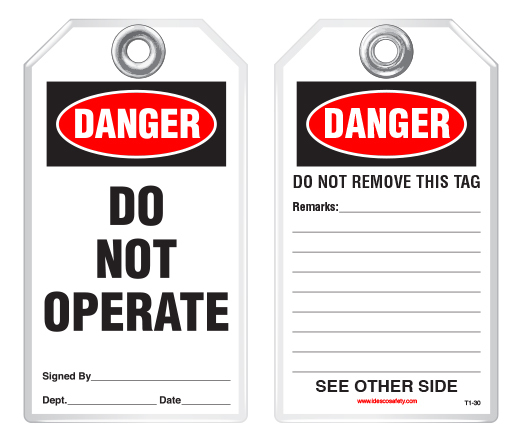 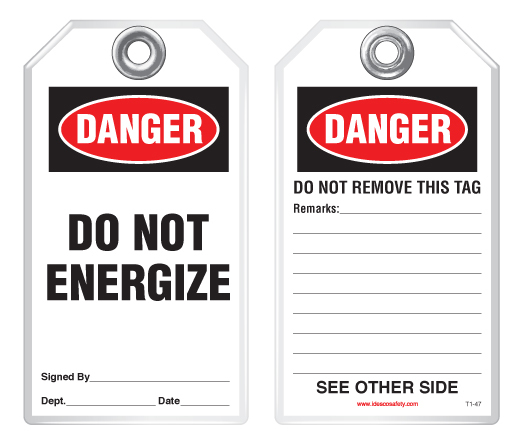 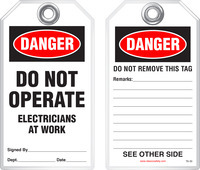 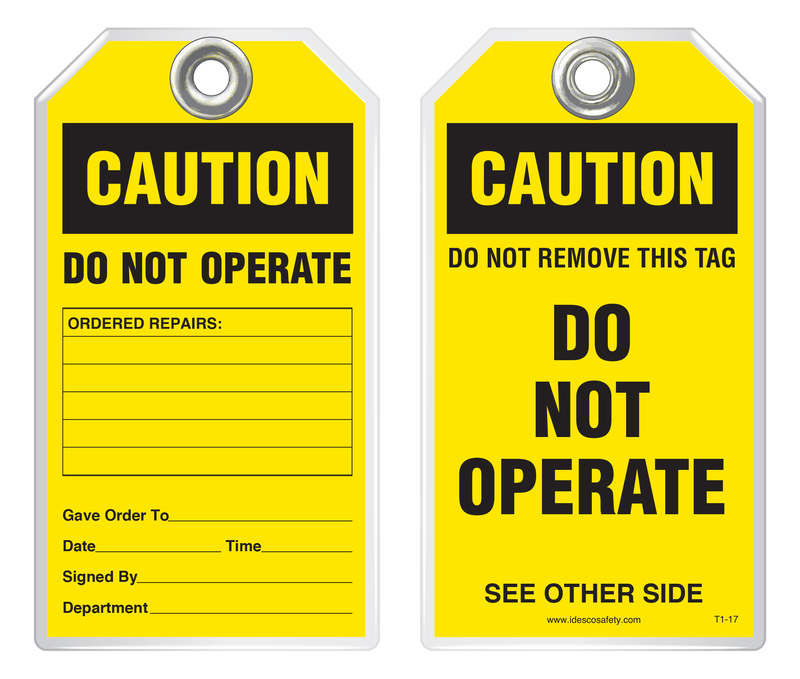 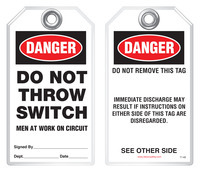 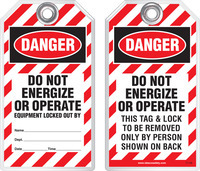 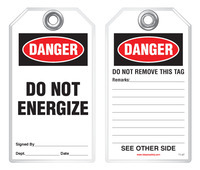 The tags are clear and effective at reducing accidents and preventing worksite mishaps.